Media Section: Supports various media formats (images, audio, music). You may want to start by uploading the logo of your company. Upload Products / Editor: The editor will help you upload your products, and customize how you want them to look on the website. Is there a way to have the same product with different specification listed? Or do I have to create a new product and modify all? For example, you sell shoes, and you have the same shoes, and same size, but they come in 2 different colors. You don’t need to create an item entry for each. You just need to add 1 item with the specification you want. 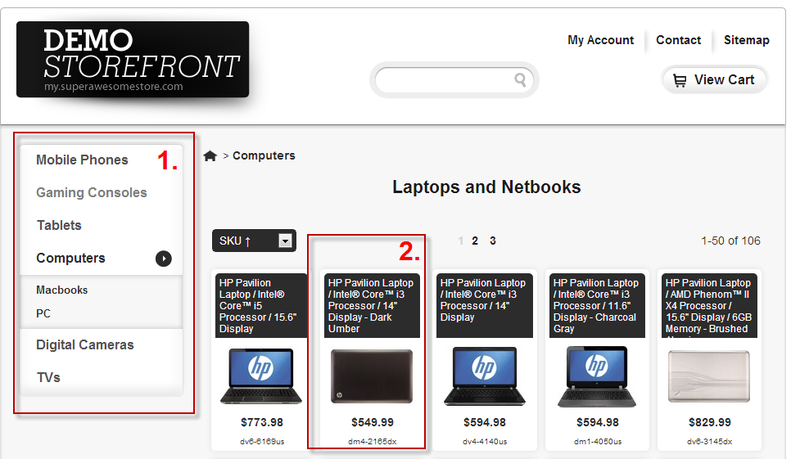 Once it has been created, click on the product and you can just "Copy Product" or "Create Variaton". Bulk Editor: In case you have hundreds of products you want to sell, and you don’t really have the time to upload them one by one, you can use the bulk option. 2. 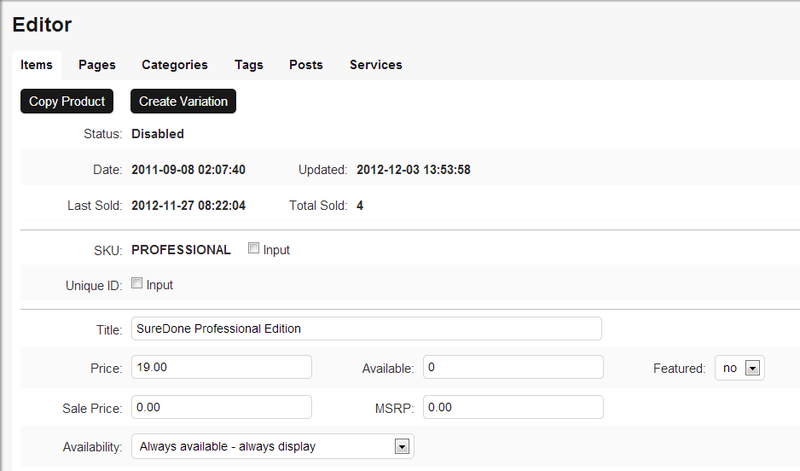 Click on upload file to upload a CSV file with the name, categories, tags of your product. 3. 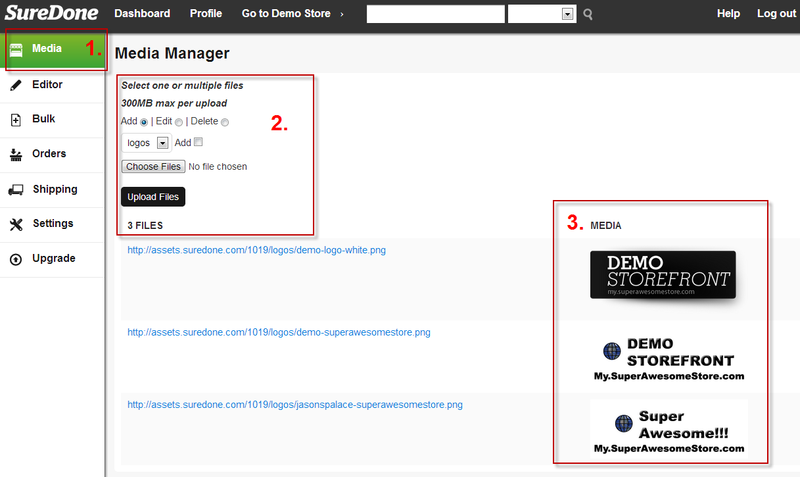 You can also upload the images/thumbnail of your product to be uploaded at the same time. The images however will need to be compressed into a ZIP file first. eCommerce Website: At the very top, Click on "Go to YourStoreName"
1. On your Website, you will see how the different categories look. 2. 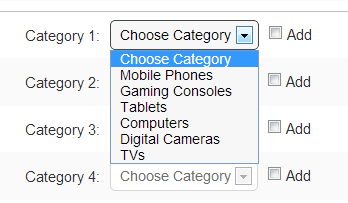 You can have a category for computers and then 2 sub-categories for MacBook and PC’s for example. 3. You will be able to click on each product, to get the price, description and details about the product. Orders: Here you will be able to see the product’s order number, modify the shipping service, the mailing address, and more. 1. Clicking on Orders will immediately take you to awaiting orders. 2. You will be able to click on Edit, to select the Shipping service, the quantity, the billing address. 3. If you select to Edit the order, you can take your clients billing information. 4. Clicking on Invoice will give you the option to select the shipping options. 5. SureDone is linked directly to UPS World Ship and FedEx Ship Manager, which makes it easy to select the package option for your product. 6. You can also recalculate the price, depending of the weight of your product. 7. When you click on the tracking number of the order you will directly be taken to the FedEx or UPS website, where you will be able to see the status of the package. 8. You can also set up your customized shipping / refund policy. 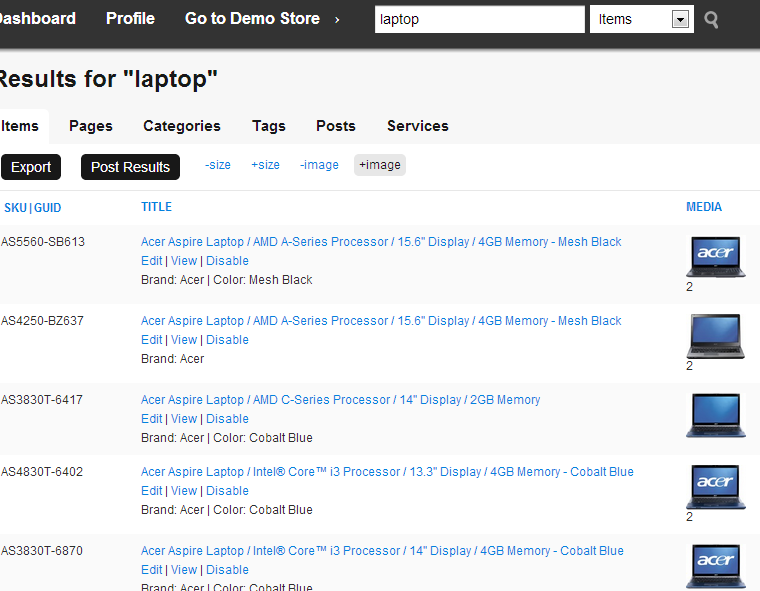 Search bar: Using the search bar, you will be able to find products easier, by using keywords. For example, if you know you sell phones and laptops, but you just need to display all the laptops you sell, instead of all the products you may have, then choose ITEM on the search bar, and type in Laptop. That way it will show you all the different laptops you have for sale. For example, if you want sell different brands of laptops, but you are not sure how many different brands you have in the system, then just select categories, and type in Laptop. The search result will show you the different categories you have created before. You can also check for all the laptops which have been ordered. Just select ORDERS, and type in Laptop again. It will show you the model, the quantity, and the price. 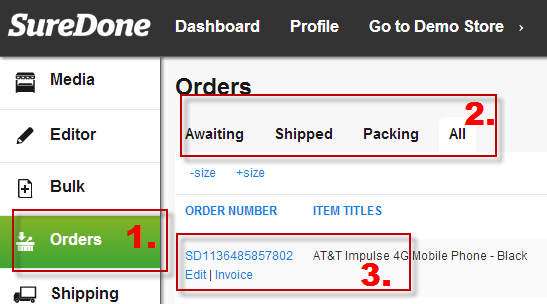 Shipping: Here you can check on the status of the order, by just inserting the order number, and the tracking number. 1. The integration with UPS and FedEx makes it also easy to preview the shipping label (If you click on the Labels option). 2. The tracking information can also be send to the customer by checking the little box on Email Customer.